Yes Solana Beach real estate is, well on a beach. Which means that the little community has it’s share of surfers, beach bums, and hippy dippy, new age, crunchy, yoga matt carrying, meditating, seekers. Which is great, really. If you’re going to live in a Southern California beach town you kind of want all of those elements don’t you? Well, what makes Solana Beach different is that while the beach lifestyle is prevalent there is another feel going on her entirely. Solana Beach feels like a good old fashioned small town in the heart of America. Buyers looking at Solana Beach houses for sale are almost always surprised with what they find. It’s not just that the houses are modern renovations or newer builders. It’s also not just that the homes are full of fantastic amenities that todays home buyers are looking for (updated kitchens, open floor plans, manicured lawns, etc.) It’s that when you’re strolling through the neighborhoods of Solana Beach you actually feel like you’re in a neighborhood. By that I mean that you can feel the buzz of family life all around you. You can sense the close knit feel of neighborly courtesy. Once you buy here, you’re not just buying a home, you’re moving into a great new family. And if that’s not enough, if you want to feel even closer to your neighbors and community, then allow me to suggest home buyers look at the condominiums for sale in Solana Beach. Not only do these homes feel like they’re in cozy close knit neighborhoods, but they’re also a sight cheaper than your single family homes. For the fraction of the price you can get everything that a Solana Beach Homes has, you just may have to share some walls. Talk about feeling “close” with your neighbors. 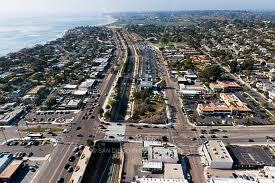 Finally there are short sales for sale in Solana Beach that sould not be overlooked. Like the condos for sale you can find great deals. Unlike the condos, you’re getting a single family home. It’s true that you’re more likely to have repairs on a short sale but doesn’t that just give you the opportunity to make the house all your own? 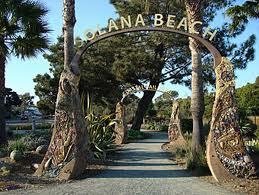 Solana Beach is more than just surfing and beach life. It’s a place to raise a family and start a new life. Let OpenOffer.com start negotiating your new home today.